U.S. ecommerce retail sales are expected to reach $262.3 billion by the end of this year. This prediction shows a growth of 16.4% from 2012. According to eMarketer, U.S. online consumers are expected to spend over $83.2 billion during the fourth quarter of 2013 alone. 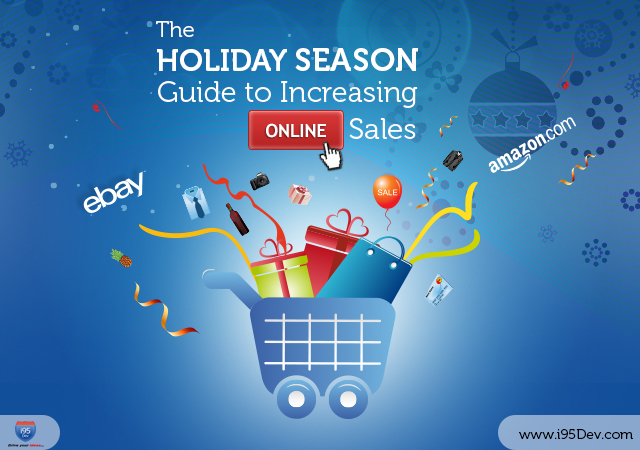 This makes ecommerce holiday sales 15% higher than last year. Several trends are contributing to the sales growth, making this holiday season the best time for ecommerce retailers to sell more than ever before. The holiday season is critical to retailers, as it can account for anywhere from 20 to 40 percent of a retailer’s annual sales. This means it’s high time for retailers to realign their sales strategies. They must grab every opportunity as they come to drive cautious, budget-constrained consumers to shop. Since the holiday season plays a crucial role in retail business success, retailers must prepare their ecommerce store for the holiday shopping season, increase sales through Omni channel retailing, and sell at third party market places like eBay/amazon etc.